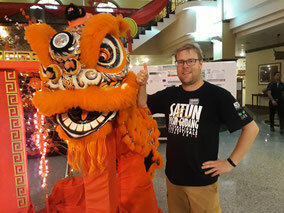 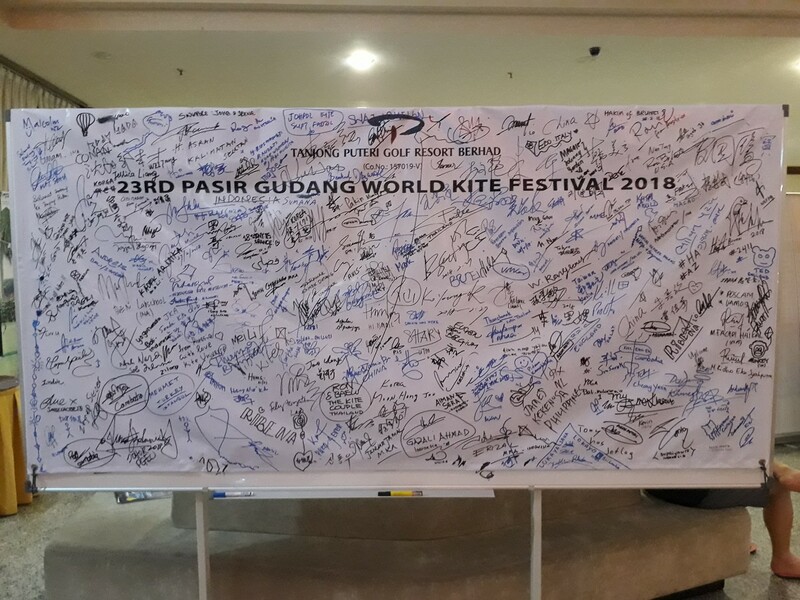 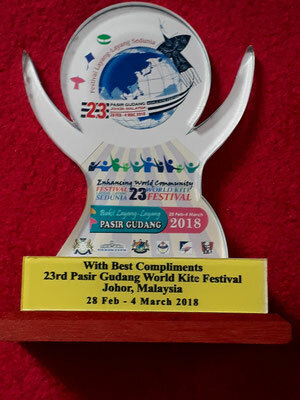 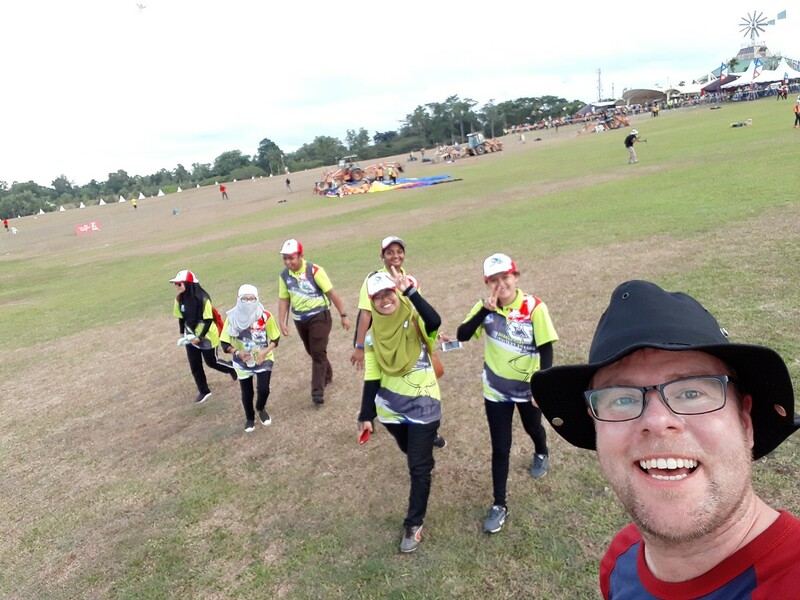 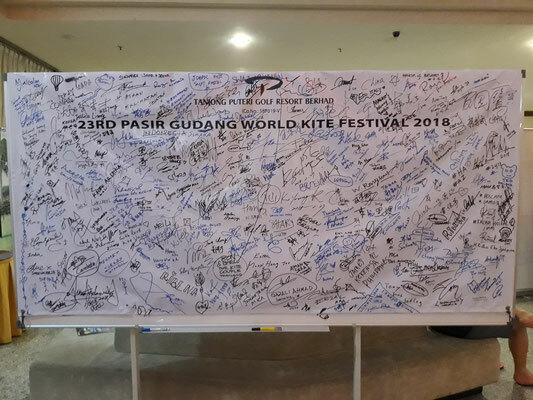 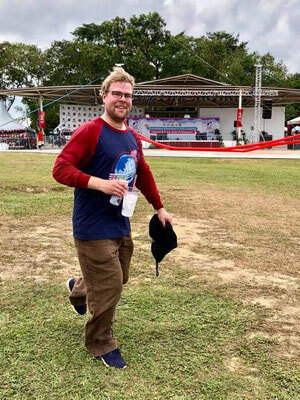 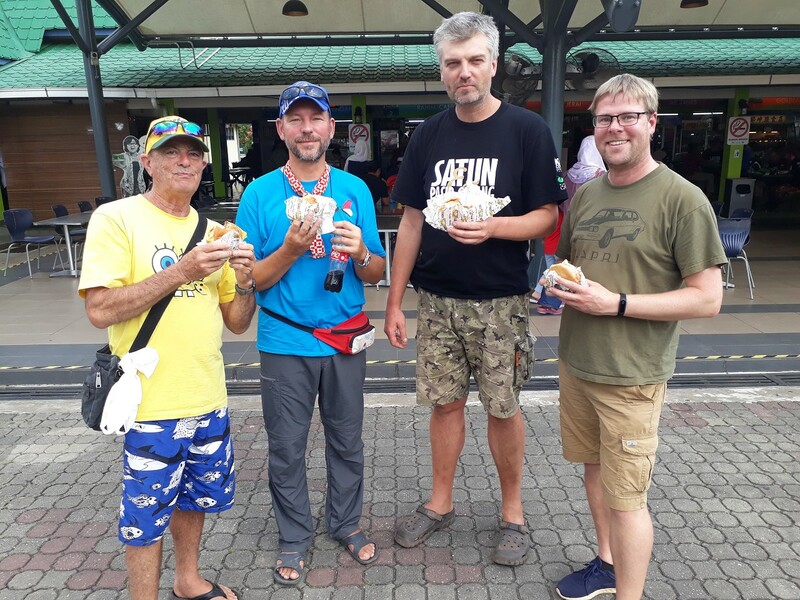 From 28.2.-5.3.2018 Volker joined the kite festival in Pasir Gudang. 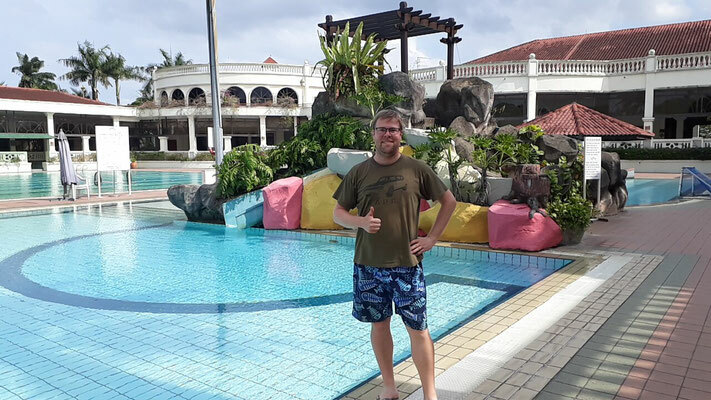 After arriving from Satun by bus (or by plane as some others did), the Tanjong Puteri Golf Resort was a great place to stay for some nights. 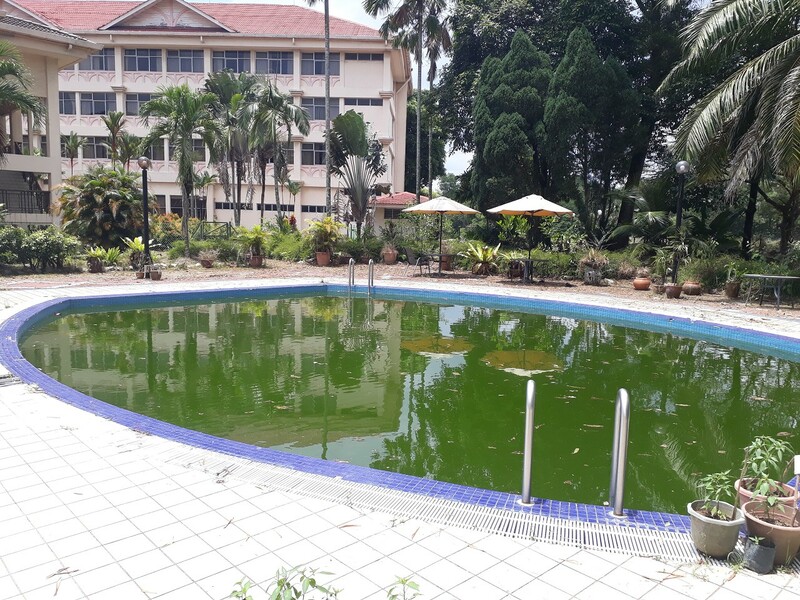 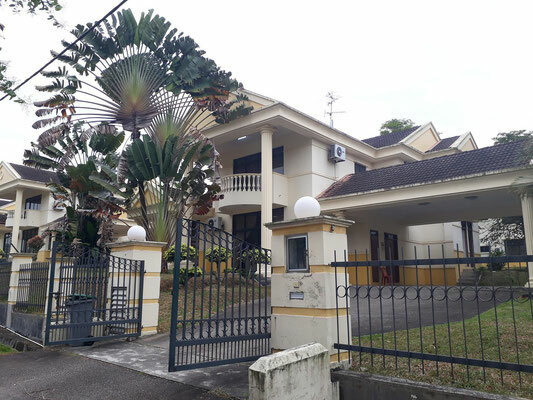 Unfortunately, the Hotel Selesa was not available to host the kiters this year. 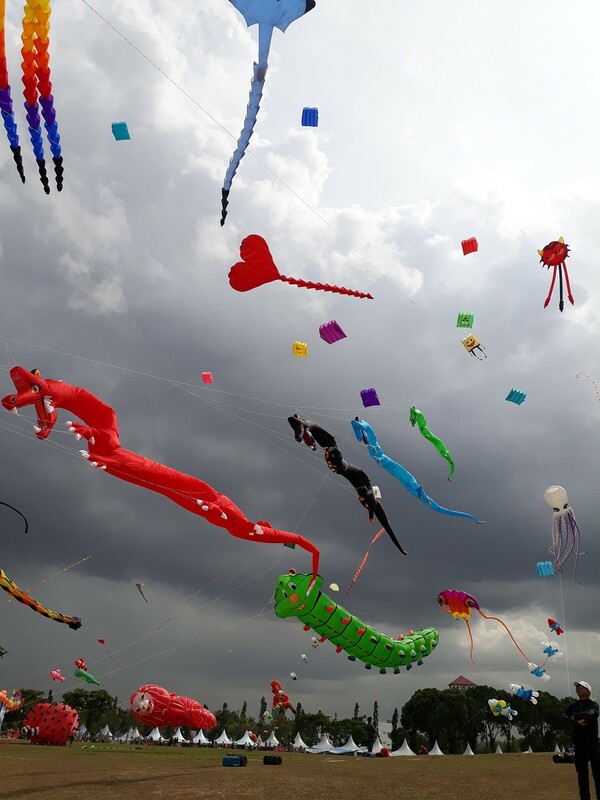 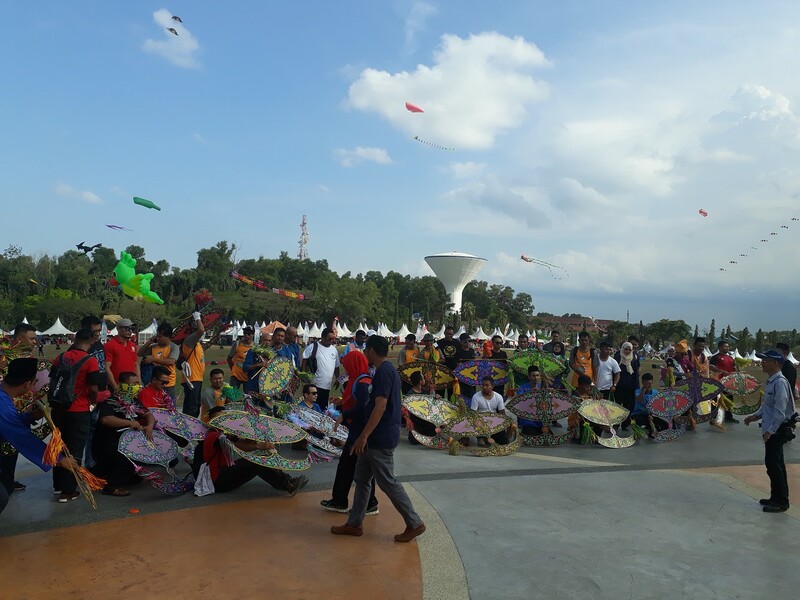 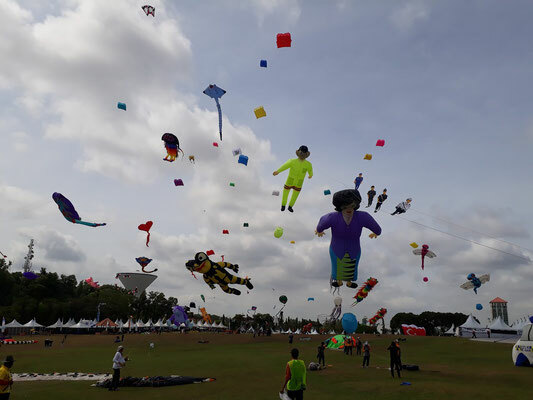 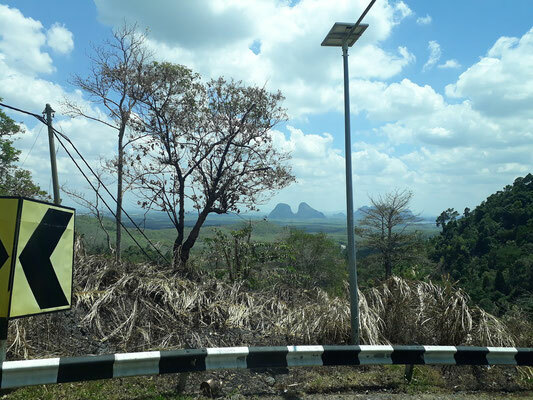 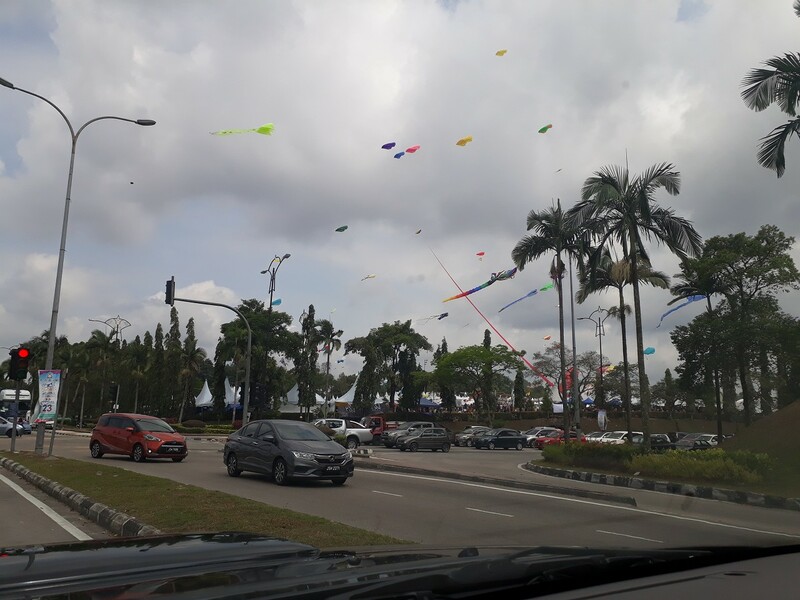 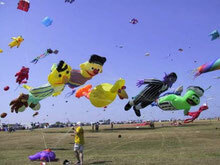 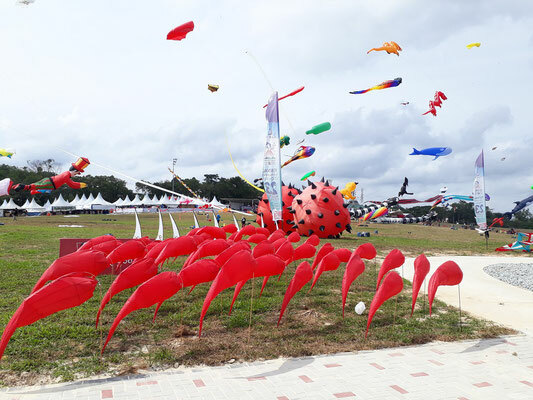 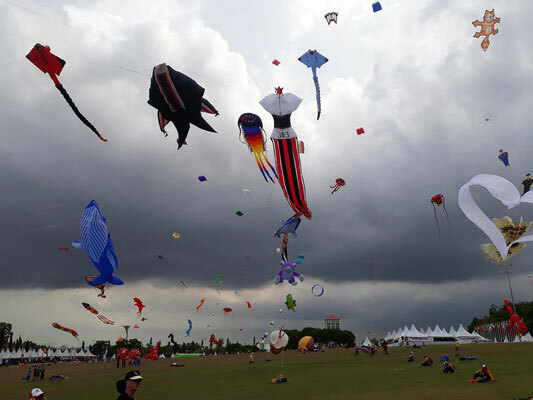 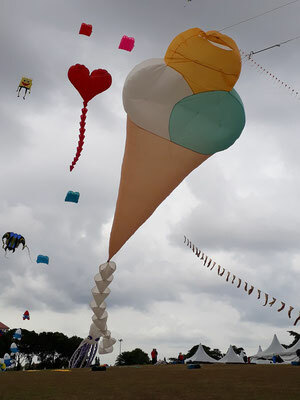 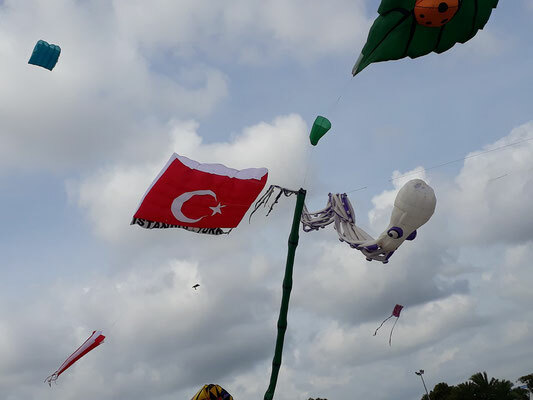 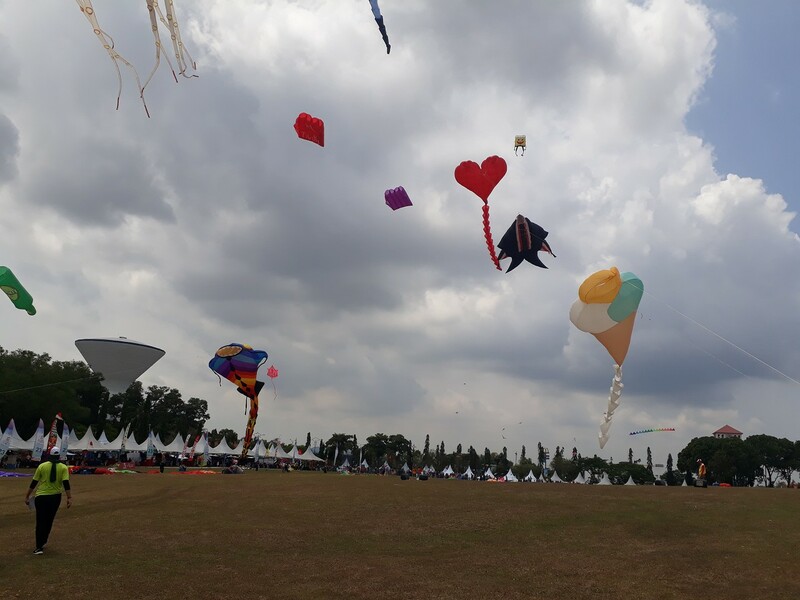 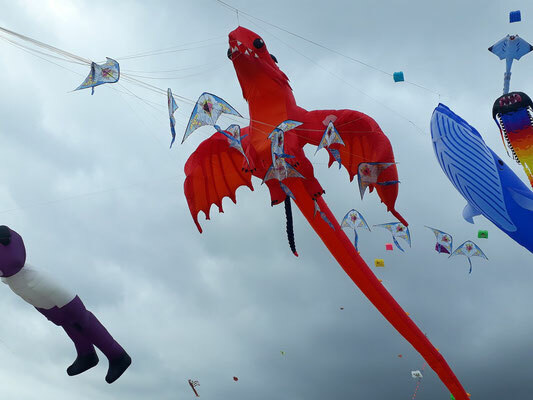 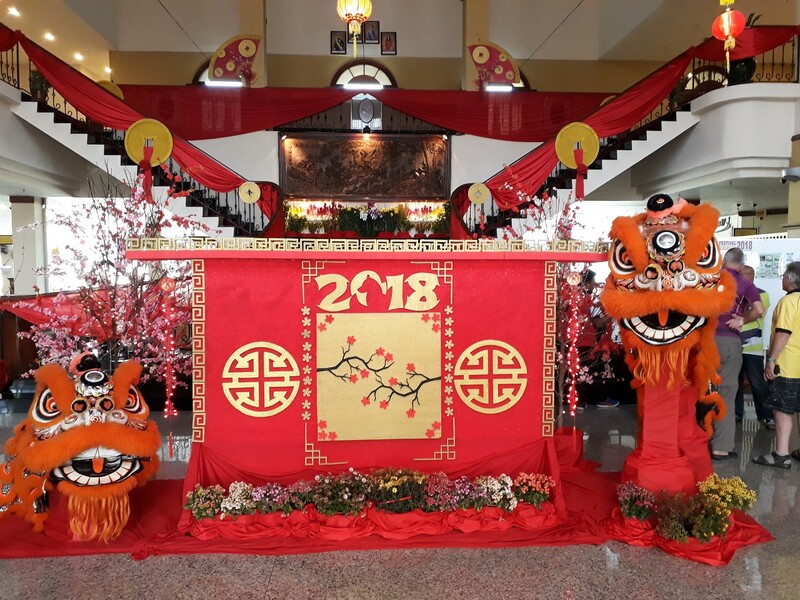 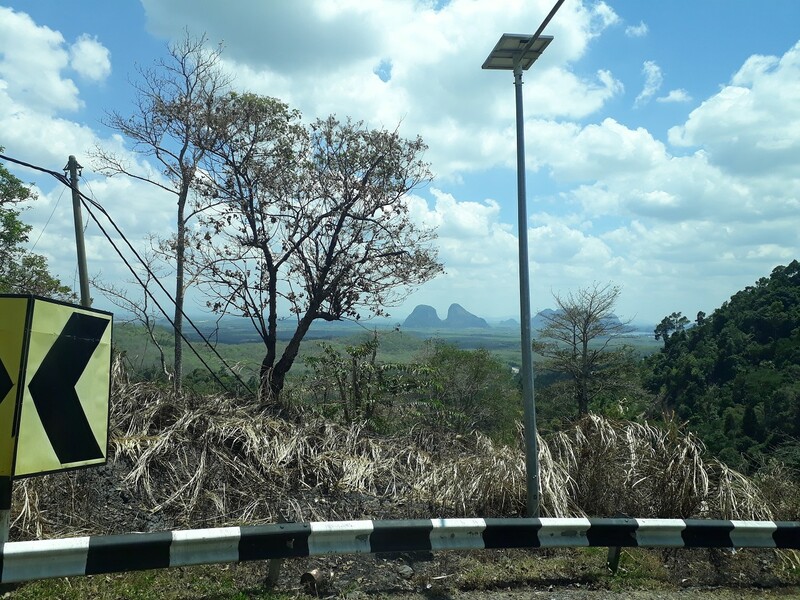 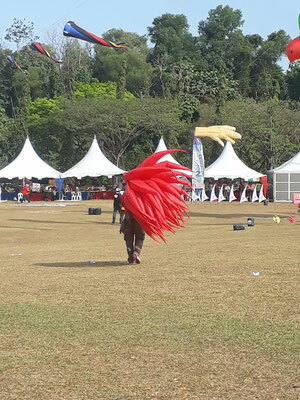 The Bukit Layang Layang (kite field) was enlaged this year to let the local kite competitions take place beside the international event again. Most of the time, the wind was flyable. 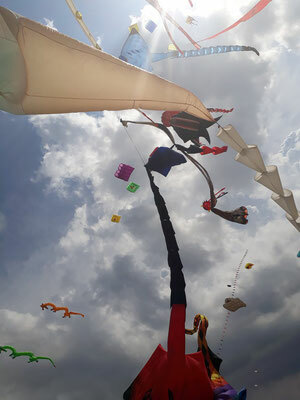 Periods of no wind occurred only for some short moments. 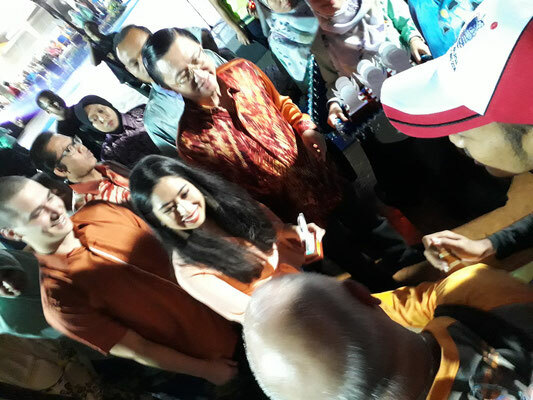 At the friday evening, the daughter of the Sultan of Johor visited the kitefestival. 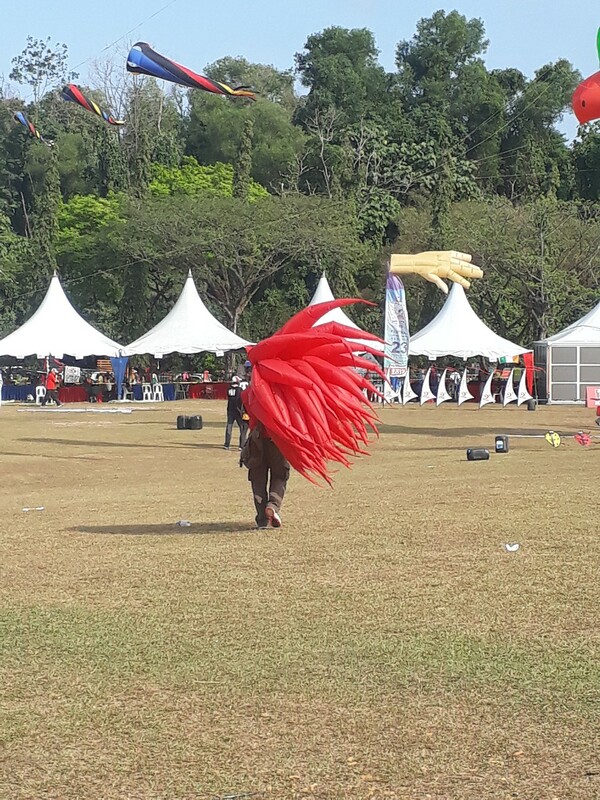 During her visit, local dance groups gave a great show, i.e. about the topic "Be happy, help each other and fly kites!!!" 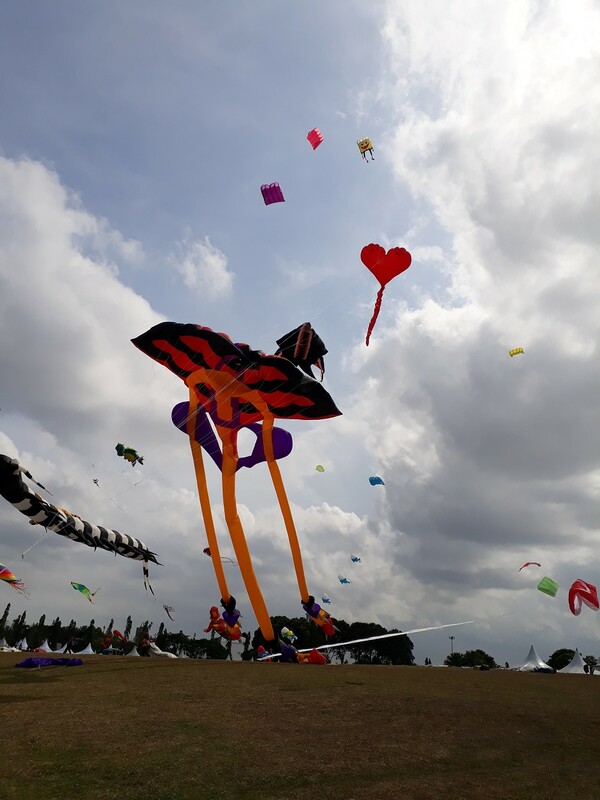 Steve De Rooy and the chinese Taiyuan womens kite team responded with their kite performances. 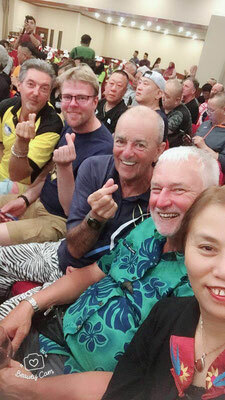 The evening ended with a big fireworks display. 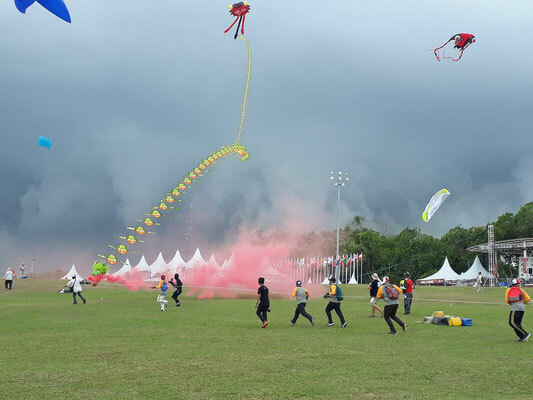 The saturday evening ended in a night LED kite competition. 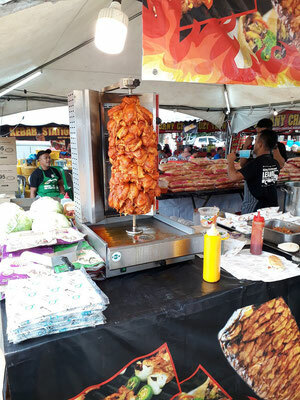 On both evenings, huge crowds of locals used the comfortable evening temperatures to make family pick-nicks at the Bukit Layang Layang. Sundays kite flying ended with some reasonable rain. 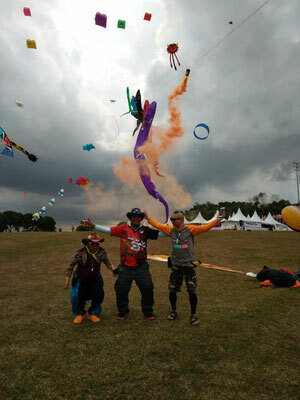 But the kiters managed to dress up neatly and to join the closing ceremony at the stadium. 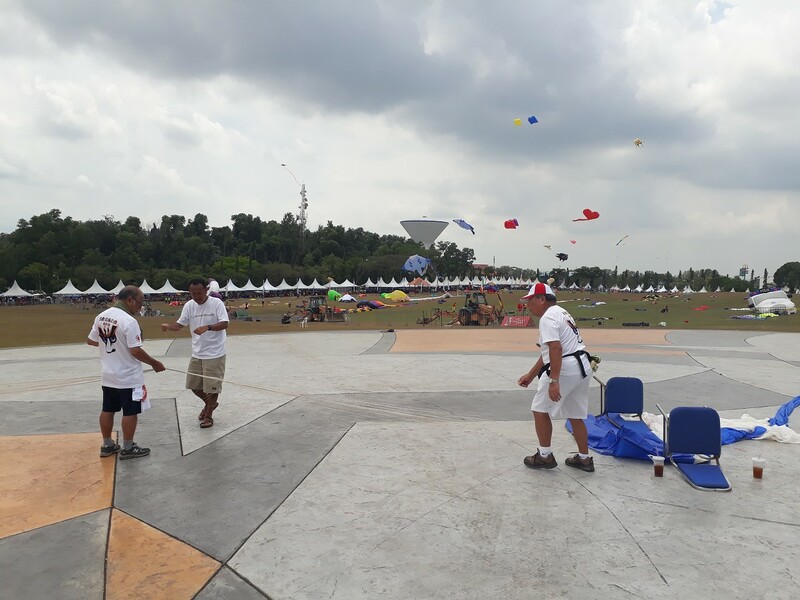 Thanks a lot to the team around Anuar and Ismail for the well organised event.